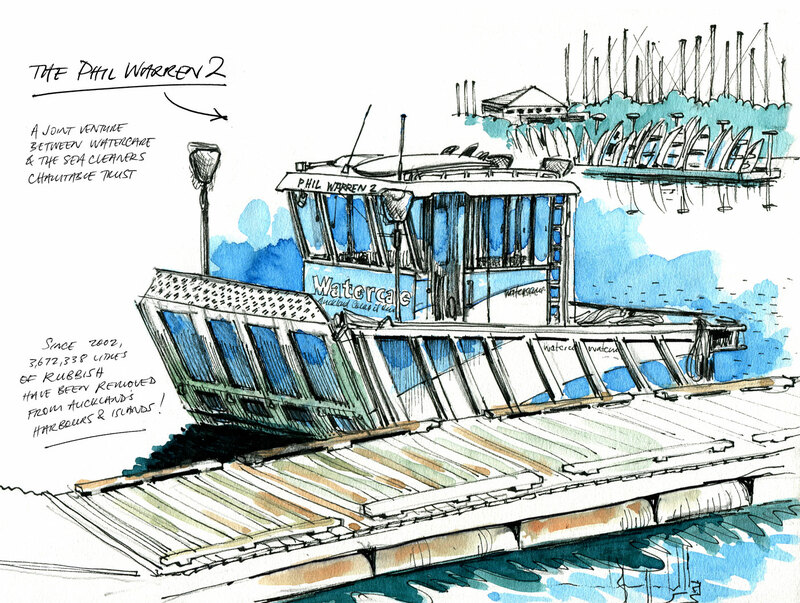 I spotted the Phil Warren 2 on the ramp at Westhaven yesterday. It was a stunning morning and I was running early, so I figured I'd quickly sketch it. I've read about the incredible work they do cleaning up the Waitemata harbour, it's tributaries and the islands of the Hauraki Gulf so I reckon it's worthy of a sketch. 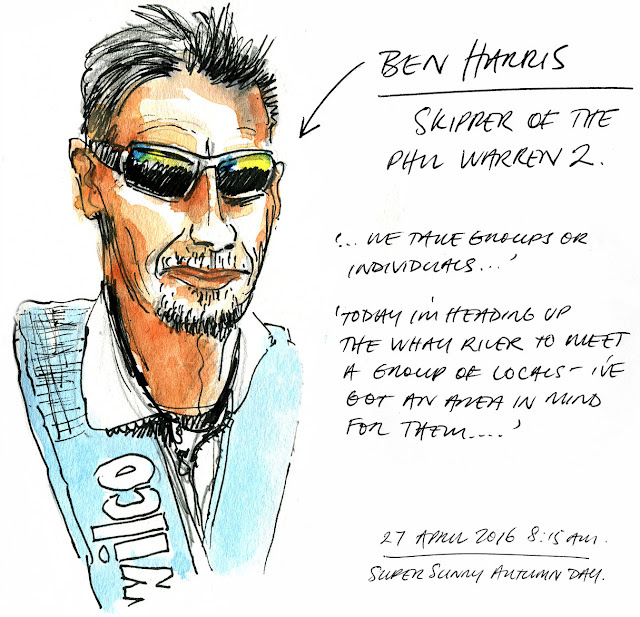 My sketching caught the eye of skipper Ben Harris who wandered over for a chat. He was getting it ready for a mission up the Whau River – the estuary that runs up past Lincoln Road to Glendene and Kelston and he would be meeting a group of locals up there for the morning's clean-up. I'm planning to lend a hand at some stage – and take the sketchbook of course.